With the benign blessings and directions of Jagadgurus Pujyasri Shankaracharya Swamijis of Shri Kanchi Kamakoti Peetham, the Annual Atharva Veda Parayanam will be held at Sri Swaminatha Swami temple, Swamimalai from 30 July to 2 Aug 2014. 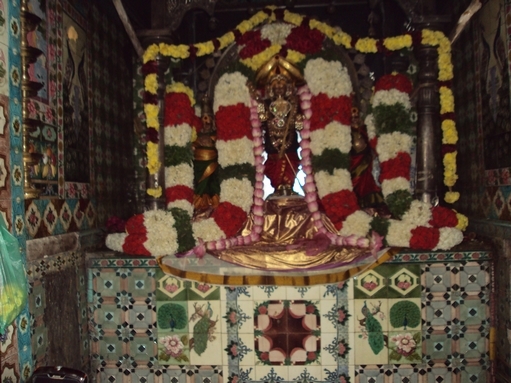 Vyasa Poojai Vasthra Samarpanam To Sri Swaminatha Swami : It is customary that the �Vyasa Poojai Vasthram� from Sri Kanchi Kamakoti Peetam is offered to Swamimalai Sri Swaminathaswamy every year during Chaathurmasya Vratham. 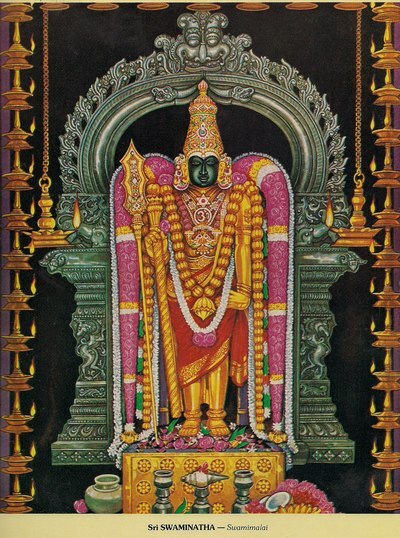 In line with this tradition, as directed by their Holiness, on the third day of Atharva Veda Parayanam 1-8-2014 - Shukla Shashti, Abhishekam will be performed to Sri Swaminathaswamy, followed by Parayanam of Sri Rudram, Pancha Rudram, Sama Veda Rudram, Atharvana Veda Rudram, Kumaara Sooktham followed by chamakam, Purusha Sooktham & Nakshatra Sooktham etc by Veda Parayana Pundits. Sri Swaminathaswami will be adorned with the �Vyasa Poojai Vastram�.